The Entertainers, have been trusted for thousands of Wedding Receptions in Durham Region for over thirty years. Our uncompromising sound quality, attention to detail and commitment to customer service excellence have earned us Readers Choice Awards for over a decade. Congratulations on your upcoming Wedding. Music is the last impression your guests have of your very special day. Your selection of the right personality is paramount in the success of your Wedding reception. Whether you are planning a traditional Wedding or creating a totally personalized event we offer several packages to assist you. Our Bridal brochure recaps our available packages and provides many helpful suggestions of Wedding specialty songs for your consideration. It also includes a detailed summary to assist you with your plans. Simply contact our office and we will be happy to place a tentative hold on your date, forward a quotation along with our Bridal Brochure. You will find suggestions for the following songs contained within our brochure. Weddings are as unique as the individuals being married. Music programs, may share similarities however no two shows are alike. Often we will meet with couples several times, to ensure the fine details of the music for their special day is perfect. Play lists are welcome, we simply program your favorite songs into the show along with all your specialty dances. Guest requests are welcome, and played throughout the evening. When selecting the music for your Bridal Party entrance, uptempo songs will set the atmosphere for the room. We recommend songs that have more music than lyrics as this allows your guests to hear your introductions clearly. 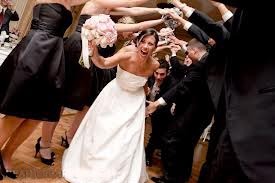 The Bridal Party may be introduced into your reception hall in pairs or you may choose to have all the Brides Maids walk or dance in, followed by the Groomsmen, the Matron Of Honour, Best Man. You would then be introduced into the hall as the New Mr. & Mrs___________. 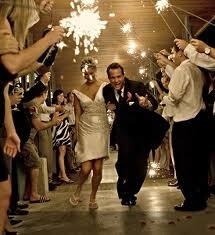 You have several options available to you , with many ethnic functions, often the first dance is done before dinner. You may utilize one song for your Bridal Party, or select songs individually for each Bridesmaid, or Groomsmen. They may walk, or dance, upon their introduction as singles or couples as you prefer. Bride & Groom Grand Entry is often a different song selection. Often we are asked to give away the centerpieces. The best time to do this is during dinner while your guests are all in the room so that it gives everyone an equal chance to win. There are several quick and easy ways to award the centerpieces. Call for a quote, book a free consultations we are happy to discuss your options. We will announce the cutting of the cake an give your guests another photo opportunity. 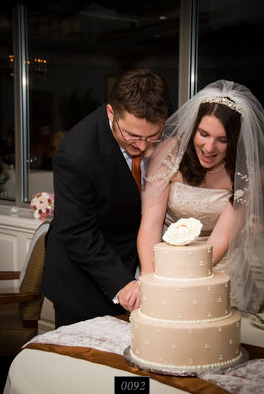 The Cake Cutting may take place before dinner, during your meal, or later in the evening when it is served with coffee. Your personal requests will always take precedent over guest requests. Play lists are welcome and implemented into the evenings program. Guests are also invited to make requests. Our completion rate of requests exceeds 95%.